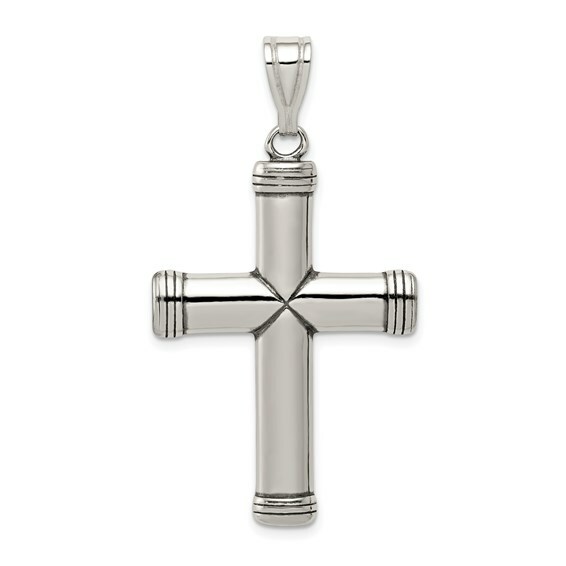 This wide sterling silver cross pendant has grooved tips and a polished finish. Measures 1 3/8 inch tall by 1 inch wide without bail. The extra large bail will acoommodate up to a 6mm wide chain. Weight: 7.8 grams.